The TCT Family EQ Preamp modules can be mixed and matched with MCT mid boost modules for different mid boost frequencies. The MCT modules provide additional treble boost as well. 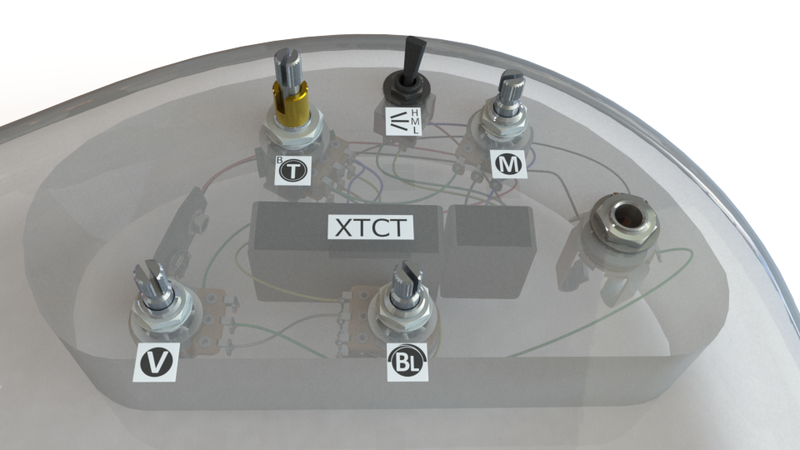 TCT Family preamps provide bass and treble bands that can be boosted or cut. The mid band can be narrow notch cut only, so we think of it as a 2 ½ band EQ. 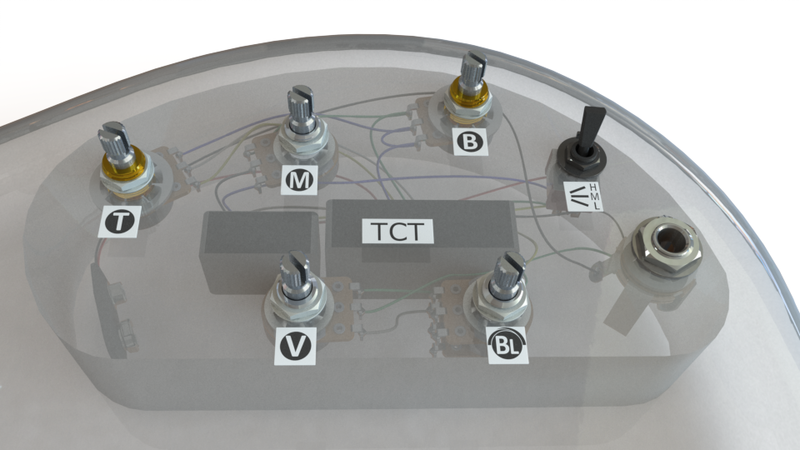 An MCT mid boost module can be added for boost and cut of the mid for full 3-band control. Like all of our electronics modules, the MCTs are internally shielded to reject electromagnetic noise. Bartolini set the standard of fully sealing the sensitive electronics. We use professional double tin plated pure copper wire with durable semi-rigid insulation. This ensures the 4” pre-stripped wires don’t flop around in the cavity and the wires don’t cut through the insulation over time. The TCT Family is a vintage, complex design with a limited yet loyal following. Most musicians prefer the ease and flexibility of our more recent products. The TCT family of preamps has native mid cut for classic slap tone. The MCT-3MC lets you add mid frequency boost at 250Hz, 500Hz, or 750Hz. You can use a toggle or push-pull switch to pick your frequency. The TCT family of preamps has native mid cut. The MCT-250 lets you add mid frequency boost at 250Hz. The TCT family of preamps has native mid cut. The MCT-375 lets you add mid frequency boost at 375Hz. The TCT family of preamps has native mid cut. The MCT-500 lets you add mid frequency boost at 500Hz.